Oxygen is the breath of life. Every single cell of the human organism needs oxygen to develop and live. Certain health conditions such as COPD-Chronic Obstructive Pulmonary Disease, lung cancer or Obstructive Sleep Apnea require that the patient uses regularly oxygen therapy. This therapy is provided with the help of an Oxygen Delivery System such as a portable oxygen concentrator. At SleepRestfully we aim to provide patients with rich informational resources on all major types of portable oxygen concentrators and their accessories, which help patients get the therapy they need. fit, in order to avoid mask leaks or skin irritations caused by a mask which is too tight. Oxygen is classified by the FDA as being a drug. Therefore, your physician is the one who will determine the exact type of oxygen therapy that is required in your case. Any CPAP, APAP or POC device can be purchased through SleepRestfully only if you make proof of a valid prescription. Patients with Obstructive Sleep Apnea require oxygen mostly during the night, but patients with extremely severe lungs function impairment will also be required to use oxygen therapy during the day. Your healthcare provider will make exact recommendations regarding the therapy duration and the amount of oxygen flow that is required. Oxygen Concentrators represent the preferred way of therapeutic oxygen treatment. Regular ambient air contains approximately 21% oxygen, but patients with lung problems such as COPD, lung cancer or Obstructive Sleep Apnea patients require richer concentration oxygen in order to breathe at normal rates. Physicians make the necessary adjustments on an oxygen concentrator device, depending on the individual health requirements of the patient. An oxygen concentrator can deliver up to 10 LPM (Liters per Minute). In selecting the right oxygen concentrator device, there are many factors patients should keep in mind such as the ease of use of the device, the overall investment required, the reliability of the manufacturing brand or portability features. Many oxygen concentrators offer both Continuous Flow and Pulse Dose technology. In Pulse Dose the oxygen is delivered with each breath the patient initiates (right at the edge of each inhalation process). Some patients feel particularly comfortable using Pulse Dose oxygen therapy during the day, and Continuous oxygen flow during the night. In the past, the greatest majority of oxygen concentrators have been heavy, bulky, quite noisy and with a not so attractive design. World leading medical device manufacturers are now striving to offer better and more efficient oxygen concentrators which you can easily check out at our comparison page. These types of oxygen concentrators can be easily carried in a bag with shoulder straps, and many models come with an ergonomic special rolling cart with wheels for more comfort while on the go. If you require both Continuous Flow and Pulse Dose oxygen therapy, you should choose a device that incorporates both types of therapy modules. road trip or traveling by plane. Portable oxygen concentrators guarantee active life without boundaries to sleep apnea or other lung disorder patients. oxygen tank, and keep the tank in a cool and dry place in your home, away from sources of heat and fire. Oxygen therapy helps patients with different breathing complications improve their quality of life, and enjoy life to the fullest. 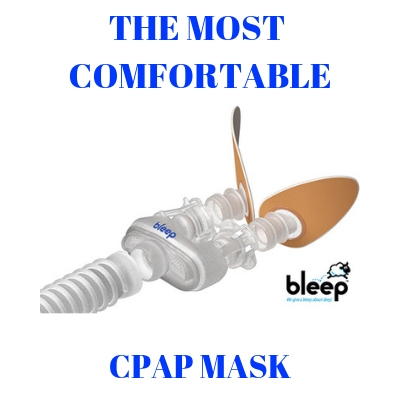 Most modern CPAP devices are FAA cleared for use on a plane.